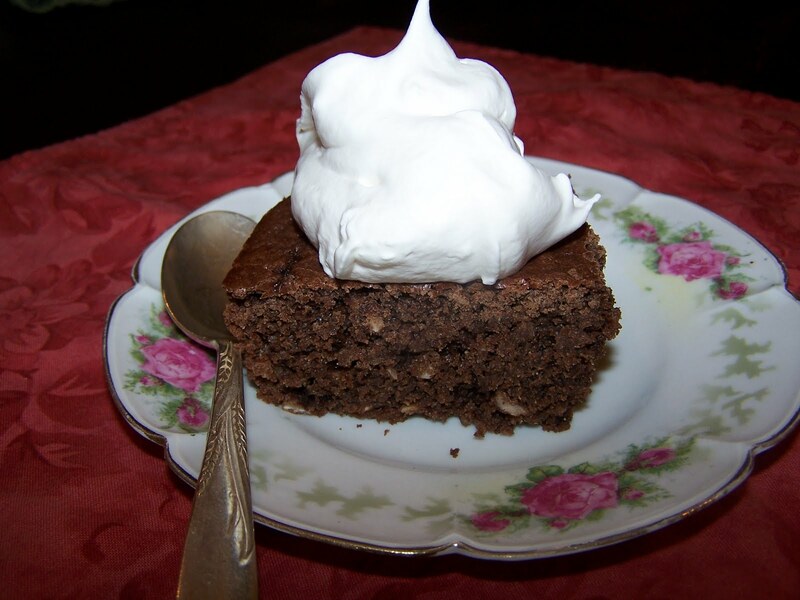 FarmgirlCyn: Sourdough Coconut Chocolate Cake! Remember the "Snackin' Cakes" from Betty Crocker back in the 70's? This is similar in texture, but that's about where the similarity ends. This cake is not very sweet, which is perfect for me. You could frost it with a chocolate ganache, but I prefer some real whipped cream. Found the recipe HERE, which is very similar to the one found in the free/pay-what-you-can e-course offered at GNOWFGLINS. When it comes to chocolate ~ who said anything about need?! It's all about want!!! I don't remember those snackin' cakes...hmm...but I do remember Hostess cakes - does that count? Just stopping by to see what you've been up to - busy as a bee - as usual! Have a great day! Yeah and it'd be hanging around my hips, know what I mean?! -grin- Looks really good though and I'm needing some chocolate right about now. I worked out today, with a trainer, and feel like somewhere around 6,000 calories might fill me up. Like you, I prefer a not so sweet cake. I am working on a slightly different type of sourdough and when it is ready, I will certainly give this a try. It was very kind of you to leave me such an encouraging comment the other day. I am happy to report that all is well.